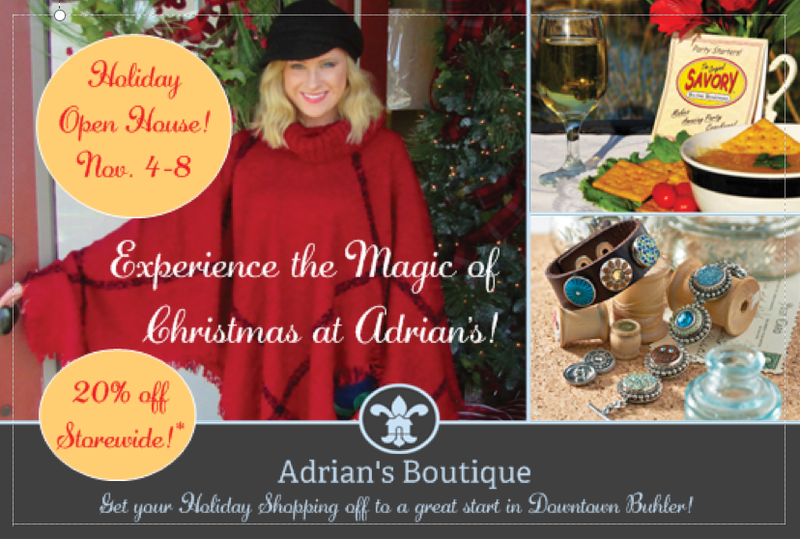 2015 Holiday Open House at Adrian’s Boutique! The countdown begins THIS WEEK! Let Adrian’s help you be ready! You’re invited to Adrian’s 32nd Annual Holiday Open House this Wednesday through Sunday, November 4 – 8. 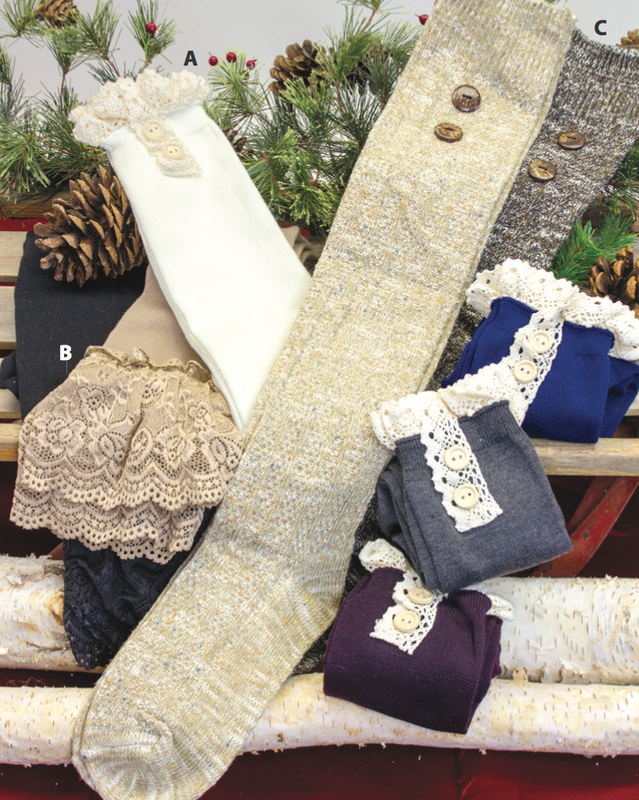 Save 20% Storewide and enjoy FREE gift wrap and a FREE gift with $50 purchase! Nibble and sip the day away as we unveil Adrians fabulous finds for the season. 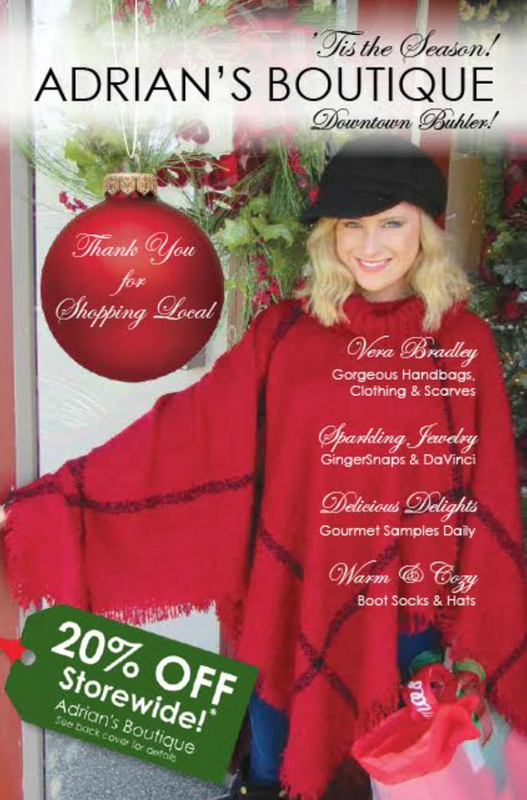 Christmas at Adrians means sparkling lights, gourmet foods, Vera Bradley, clothing & jewelry, plus Snowmen, Santas & more! We hope you’ll join us for one of the most talked about Christmas Open Houses in the Midwest! VIP Email & Facebook Clients…A fun preview day! Complimentary Lunch served from 11 – 2 today! Girls Day/Night Out! Invite a friend and come for fun! 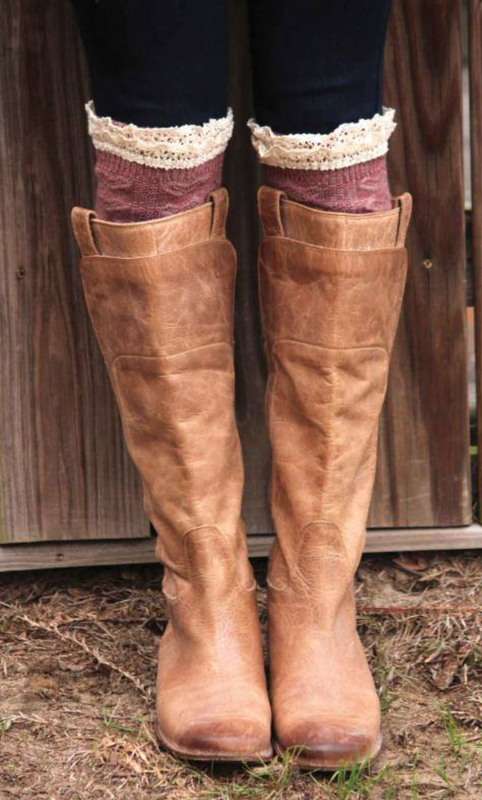 Stop by after church for a relaxing afternoon and get a head start on your holiday shopping. Desserts, Dips & Drinks served all afternoon. *Items marked with a RED price tag will not be discounted. May not be combined with any other discount, coupon or offer. Good through Monday, 11/9/15. Click HERE to flip through ALL 32 pages! Our first catalog of the season has just arrived! 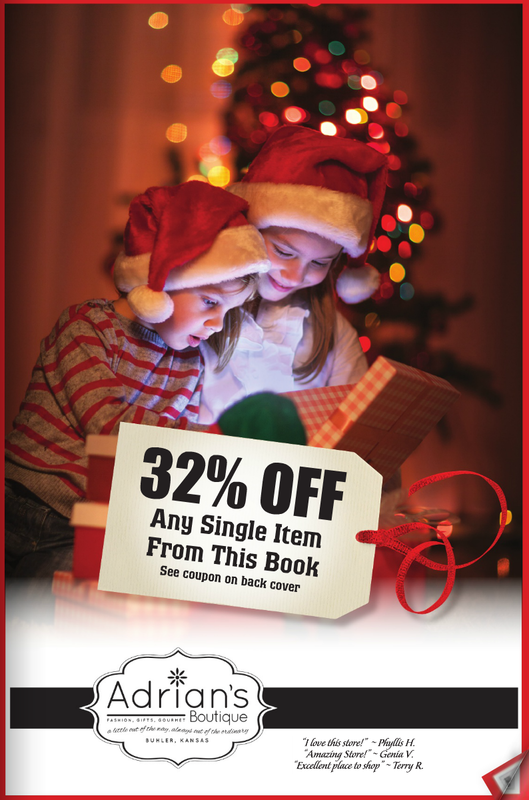 I hope you enjoy flipping through all 32 pages of our beautiful catalog! If there is anything you have your heart set on, please give us a call at 620-543-6488 and we will be happy to do that! Check out our Retro Light Bulb Necklace on Page 2… This is the perfect accessory to wear to your Christmas parties and I know it will sell out fast! Our kids section has cute educational toys and games for toddlers and children. We also feature popular themed items such as Star Wars, Dreamworks and Cabbage Patch Kids! 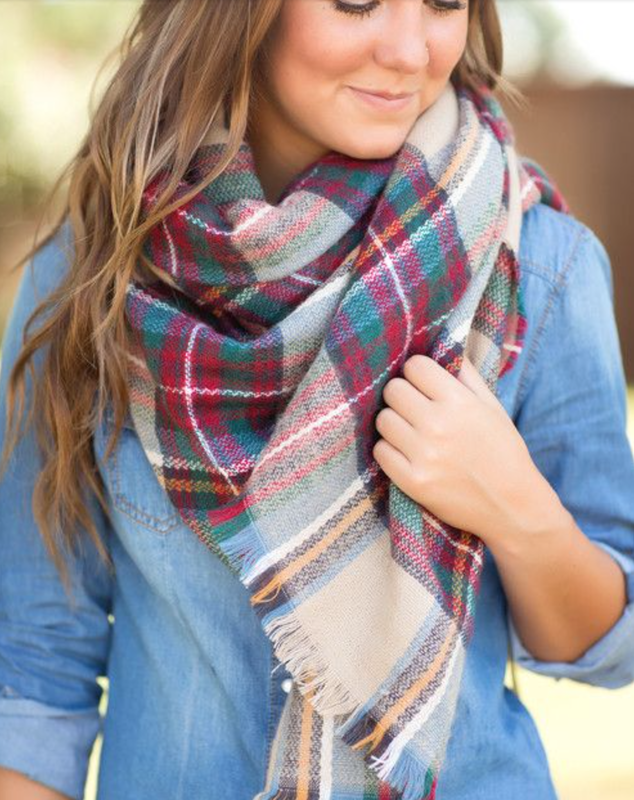 The catalog is also filled with beautiful clothing, jewelry, gifts, gourmet and holiday items! I hope you enjoy browsing through as much as we enjoyed searching for the items and putting together the catalog! You’ll want to stop by Bartel Kitchen and Bath this weekend as Shelly has brought in vendors who are offering fresh New Year’s Cookies (a local Mennonite tradition), as well as Peppernuts! Yum!